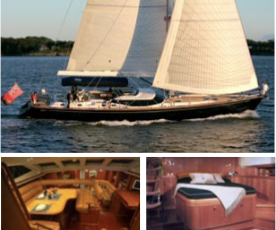 Quasart is an elegant 108’ Custom built Turkish Gullet, and the only one of her kind on the Eastern Seaboard. SPA PACKAGE SPECIAL: an additional $6,000/wk. Includes TWO Yoga classes daily! Also FIVE massage treatments will be available for guests daily! A healthy and organic menu! 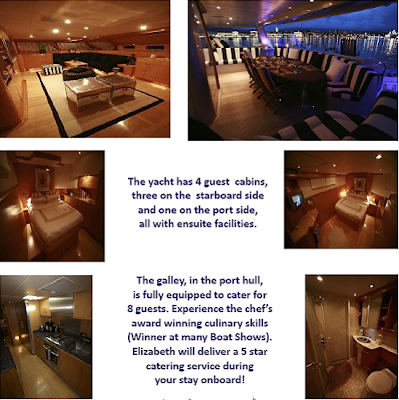 INCLUDES your own private chef, all onboard meals, beer and wine!!! DOES NOT INCLUDE Diesel, dockage, or crew gratuity. The Allen’s Cay grouping contains the well known Leaf Cay; one of the few remaining habitats of iguanas in the Bahamas. A dinghy ride to this unique spot is a “must do”. Standing quietly, guests will be charmed to see first one and then another iguana come forward to get a closer look. In a matter of minutes, the beach will be dotted with 20 to 30 of these odd but loveable creatures poised silently in the sand. Swim or kayak in the sheltered turquoise waters off this special island. This small island is known for its hospitality and Thunderball Grotto, one of the most outstanding snorkeling attractions in all of the Bahamas. While this hollowed out rock has been the location for the James Bond movies Thunderball and Never Say Never Again and also Splash, it lures snorkelers to enjoy a natural fishbowl...swim in at slack low tide (when the current takes about an hour break from its normal fast run), and enjoy many varieties of colorful fish, corals, sponges and other sea life. Weave through the grotto’s many entrances and passageways, escape to the outside through its holes. Gaze skyward when inside the amphitheater to see light streaming through the roof where rain has eroded natural skylights. SAIL TO NEW PLACES - The Spanish Virgin Islands - A Wonderful Cruise on the Ocean 80, charter yacht Eliza. 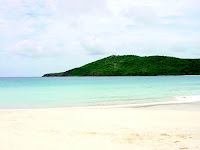 Visit the unspoiled beauty of Vieques, Culebra and Culebrita. These three islands are a within easy sailing distance of Puerto Rico, but offer uncrowded anchorages beautiful beaches with great snorkeling fun sight seeing and extremely friendly inhabitants. Meet Eliza in Fajardo which is close to the Conquistador Casino, and only a one hour drive from the San Juan Airport. Sail to Cuelebra and see its sights and quaint town. 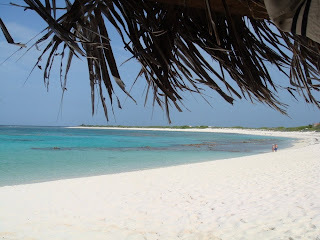 Sample the deserted beaches and snorkeling. 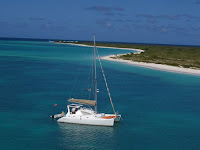 Sail to Culebrita (little Culebra) and anchor near the half-moon pristine beach. Climb to the site of the oldest operating light house in the Caribbean. Swim in the "Jacuzzi" a series of large boulders and pools washed by the seas. Next stop is Vieques, the largest of the islands, which at one time was used by the US Navy for aircraft target and bombing practice. Here you will find wonderful snorkeling with occasional eerie views of ordinance under water. Take a guided kayak tour of Mosquito Bay, reputedly the home of the brightest collection of luminescent organisms in the world; after sunset marvel at the light in the water and make "snow angels" while swimming in the warm waters of the Caribbean Sea. The last stop on your cruise could be San Juan. It is an experience to sail into San Juan along the north coast of Puerto Rico, outside the treacherous reef and into the protection of the three forts that guard the harbor entrance. All three are maintained by the National Park Service. The narrated tour and reenactment are worth the trip. An excellent secure marina is a short ride from the forts. On weekends the skies above the fort are filled with many colored kites as people take advantage of the open spaces. The Old Town has been restored and is a fascinating place to tour. There are wonderful old buildings, small quaint eateries, several high end, high style clubs and restaurants bustling with San Juan's in crowd. On departure day the Marina is but a short drive to the airport. Here is an opportunity to charter Eliza without leaving US territory. There are many flight options at very competitive rates and you can still find unspoiled anchorages and beaches, interesting things to see and do ashore, and a superb crew catering to your every whim, fully prepared to coddle every member of your party. In short, can you think of a more perfect "Getaway" week? 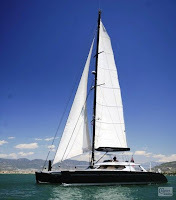 The charter yacht WONDERFUL, a 73-foot Yapluka catamaran with a crew of three, will be chartering in a variety of locations this 2010 season. Captain Warren East and Chef Elizabeth Lee will be aboard (along with an additional crewmember) to give you a wonderful sailing vacation. Modern, stylish, and luxurious are three ways to describe the interior of Wonderful. Stepping into the salon you will find a rich contrast between the lightly colored bamboo floors and maple inlays against the upholstery and detailing. 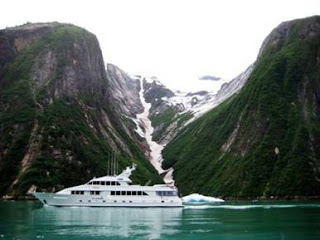 The motoryacht SHOGUN is currently in Newport Beach, California, and will be heading to Alaska early this summer 2010. M/Y SHOGUN accommodates 8 guests in 4 oversized King staterooms at $69,000 per week, plus expenses. Need a little extra Valentine's Gift? Offer the gift (represented by a toy boat maybe? or a bikini-clad Barbie doll?) and then start planning your charter with Paradise Connections. 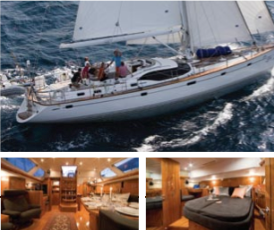 We have received nice comments from a family charter we had aboard the charter yacht ISLANDER. Gina, Julian and I had a great time with Patti and Charlie. They are a great couple at accommodating the desires of the guest. Charlie is an engaging conservationist, amazing musician and very knowledgeable sailor. Pattie is a great cook, smarter than a fifth grader (as a teacher she can engage on any topic and any subject with knowledge of the subject matter) and kept Julian entertained with the cat BC! We will sail with Islander again, no doubt! Had a fabulous time with both of you! One of the best vacations ever! You both are amazing hosts and talented people. We miss you already! I want to come back now as I've just landed in snowy Chicago! We look forward to the friendship! ISLANDER is a 50-foot Irwin ketch owned and operated by Charlie & Patti Avalos who have been sailing for 25 years, plus their feline crew... B.C. (Black Cat). Islander accommodates 2-4 guests. Islander is pretty much booked solid through April 3, 2010, although there is a possibility of a 5-night charter March 21-26. Islander has very affordable rates and Charlie offers sailing instruction either on an informal (free) basis, or with ASA certification ($140/student). 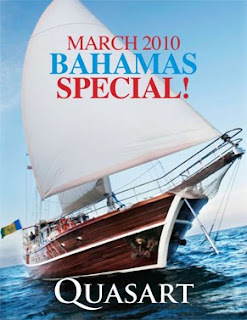 Prices below are for an 8-day/7-night, all-inclusive yacht charter (BVI taxes extra) for winter & summer 2010. 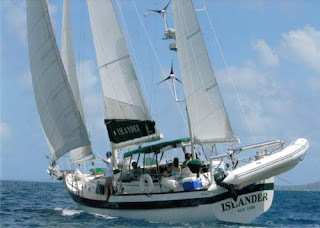 Islander is currently open for 2010 Thanksgiving, Christmas, and New Years charters. It's not too early to start thinking about these dates! Bruce & Laura, owner-operators of the catamaran AMARYLLIS, sent us this photo. Amaryllis is a 45-foot air conditioned Privilege catamaran that accommodates up to 6 guests. Lots of toys, including windsurfing. Bruce is a sailing instructor and is happy to give informal instruction to those who are interested. Don't wait! 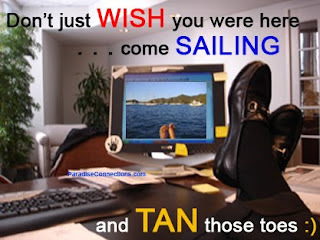 Contact Paradise Connections to start planning your sailing vacation. The charter yacht ANAHITA, our very popular Dynamique 62, has undergone recent upgrades during her time in the Caribbean this winter. She is bright with new bottom paint and her rig, engine, winches, main sail and jib were overhauled, making her even more suitable for any kind of cruising. As for creature comforts, all interior cushion covers were replaced and the bed in the starboard cabin and the lower bed in the port cabin were enlarged. A new 13' Oceanus AB tender with console was just purchased in St. Maarten and further updated with a new and attractive canvas cover. She will be heading for the Mediterranean on May 1st for her summer season with two berths available for the trans-Atlantic crossing. Once in the Med, Anahita will be in France and West Italy, including Corsica, in June and September. 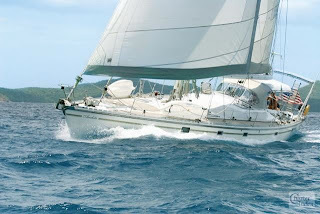 Then she will move to Croatia, Montenegro and the Greek Islands for July and August charters. 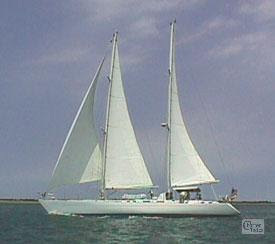 We have two Oysters available for Easter yacht charters / sailing vacations in the Caribbean. Hop on down to the islands for Easter! 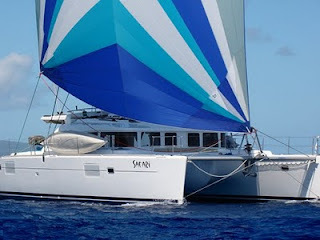 The catamaran ALEXIS is available for a San Blas yacht charter for the week of 9-16 March 2010. 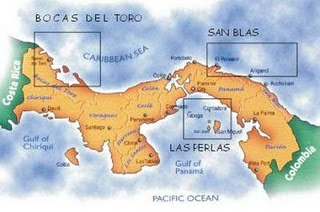 The San Blas Archipelago is a chain of approximately 400 islands stretching along the Caribbean coast of Panama. ALEXIS is a 38-foot Admiral catamaran which accommodates up to 4 guests in 2 queen cabins, each with ensuite head/shower.